In part 1, I described making a propeller out of foil to measure the airflow of my air conditioning system, building an optointerruptor from an LED and a CdS photocell, and amplifying the signal to a usable level. Next, I needed to feed the signal into a digital input on the Arduino. Old-school digital inputs don’t like having analog signals fed into them; but I knew from working with a PIC that some of the Arduino/ATmega pins would probably have Schmitt-trigger inputs, which have hysteresis. 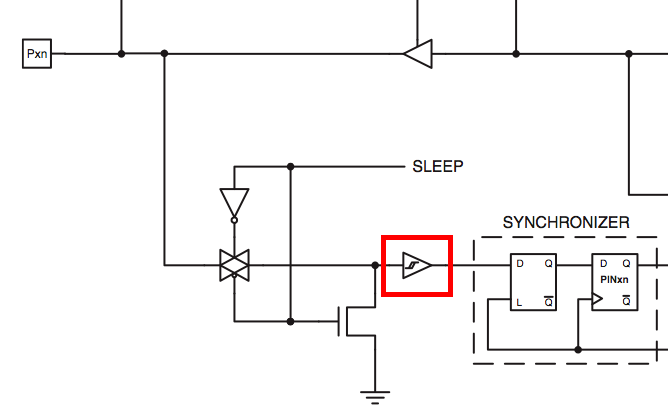 A digital input with hysteresis turns on when the analog input becomes higher than an upper threshold but doesn’t turn off until the signal falls below a lower threshold. The effect is that an analog signal wandering back and forth around the midpoint doesn’t cause lots of twitching back and forth of the digital interpretation. Regular thermostats work this way — they turn on your AC when the temperature gets one-half to one degree above the thermostat set point, and turn off the AC when the temperature falls one-half to one degree below. So imagine my delight to find that every ATmega8/168 input pin has Schmitt-triggering. Any pin would do! But I had two particular ones in mind . . .
All I wanted the program to do was count how fast the propeller blade went by, activate a relay when it got above a higher speed, and deactivate the relay when it got below a lower speed (hysteresis again, at a different layer of the system). For a program that simple, I could write a loop to watch the input pin in software . 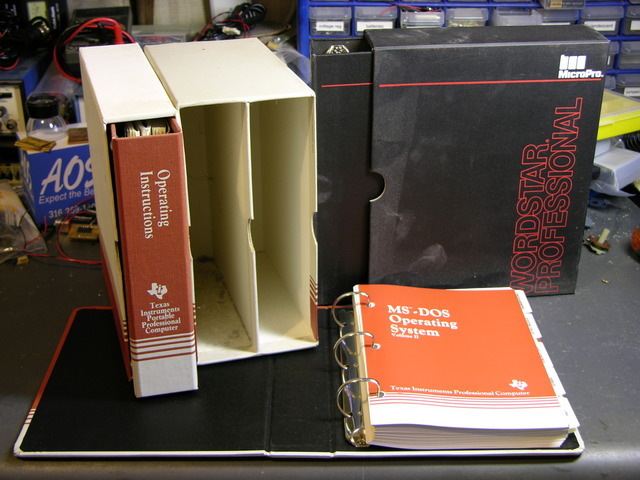 . . but why, when the ATmega can do it in hardware? Necessity is said to be the mother of invention, and 90+°F daily temperatures with the air conditioner on the fritz made me feel pretty inventive. Our air conditioner was low on refrigerant and the blower fan motor may be running slower than spec and not moving enough air. Between the two problems, the expansion coil inside the furnace housing would ice up, over a few hours completely blocking the airflow and preventing any meaningful heat exchange. I’d then have to switch off cooling mode and run only the fan for a few hours to melt the ice. On a weekend when I was home all day, I discovered that I could keep the house fairly cool by setting the blower fan to run all the time, manually monitoring the airflow out the vents, and cycling the AC off when airflow was restricted and back on when it opened up. Which sounded like a perfect job for a microcontroller. Introducing the scungy anemometer, or Airduino v0.1, for short. 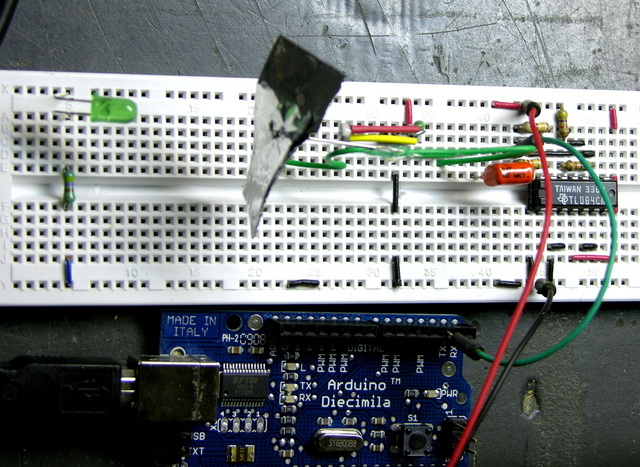 Also introducing real-life code using the Arduino’s external interrupt pin(s). You are currently browsing the Keith's Electronics Blog blog archives for June, 2008.